Three more Partnerships established within the framework of the Urban Agenda for the EU (Digital Transition, Circular Economy and Urban Mobility) have finalised their draft Action Plans, which now await public input. The informal Public Feedback on all three draft Action Plans is open as of today and closes on Friday, 16 March 2018. All interested stakeholders (e.g. institutions and authorities, academies and research centres, companies, NGOs, experts and citizens) are invited to participate and contribute to the draft actions developed by the Partnerships. Each draft action has its own survey, allowing users to provide input on the themes and actions most relevant to them. The surveys can be answered anonymously. Urban Mobility - a German version of the Urban Mobility survey will be available soon. The Partnerships will take the results into account for the finalisation of the Action Plans. The final Action Plans will be officially presented before summer 2018. Hence, these Partnerships will join Inclusion of Migrants and Refugees, Urban Poverty and Air Quality, whose Final Action Plans have recently been published. To find out more about the Public Feedback process, please click here. To comment on the actions on the Urban Agenda for the EU’s website, please register on Futuriumfirst. 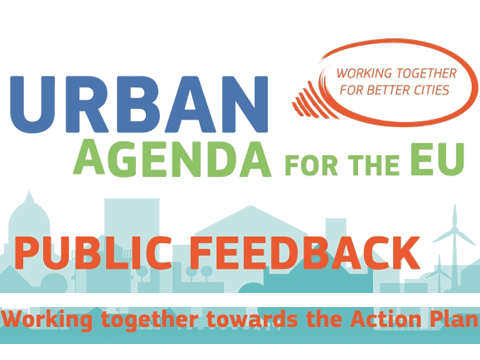 To stay tuned for news and updates related to the Urban Agenda for the EU, make sure to follow us on Twitter and to subscribe to the newsletter!